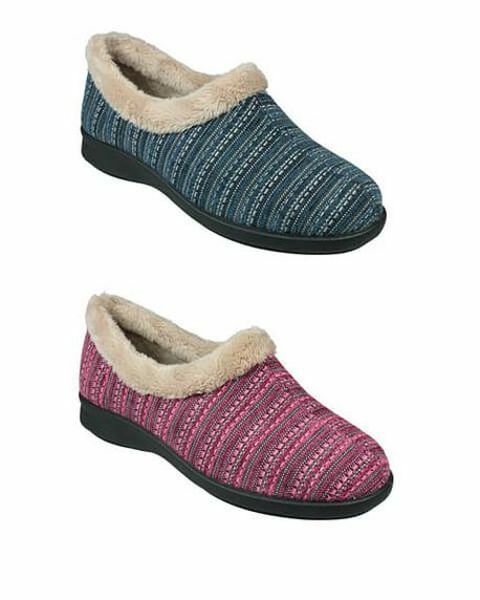 Ladies fur trim house shoe. Colours Blue, Pink. Sizes 3-8.